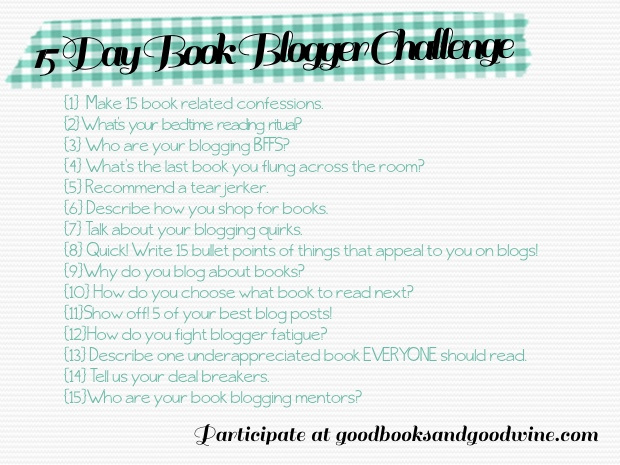 Today's Book Blogger Challenge (started by April at Good Books and Good Wine) topic: all about your book blogging BFFs. Because I'm new to the book blogging world, I haven't gotten to know a lot of other bloggers yet. However, I was so lucky at BEA 2013 to be sitting behind Eileen (Singing and Reading in the Rain) and Ashley (Nose Graze). They are super sweet girls and I'm already looking forward to seeing them next year at BEA 2013. 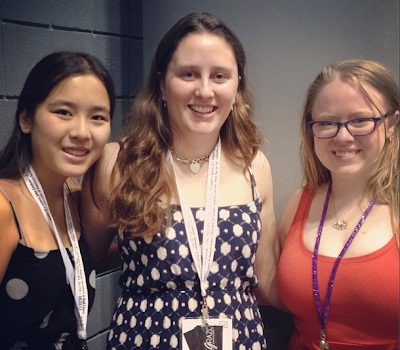 They were so sweet and kind to me and I didn't feel at all like a brand new blogger in a big scary world of experts! Here we are together, waiting in line for 3:59 by Gretchen McNeil. 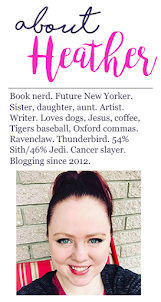 I'm always looking to make new friends and I think the great thing about book bloggers is that it's hard to find someone you don't have something in common with. That's it for today's topic. Tomorrow, I get to recommend a tear jerker!